At a time when baseball players are dropping like flies, it’s safe to say the sport has caught an injury bug it can’t shake. Aside from the in-game tweaks and strains, a disturbing trend of Major League Baseball pitchers needing Tommy John surgery in 2014 — the total has hit 12 as of April 11 — has the medical field searching for answers. Dr. James Andrews, the man who’s performed a great deal of these surgeries to repair torn ulnar collateral ligaments (UCLs), thinks it’s an epidemic that starts with intense pitching regiments in high school. Whatever the cause, injuries both accidental and years in the making have crippled baseball teams at the start of the 2014 season. Here are seven players whose trips to the disabled list are already defining the season for their teams. The injury: Oakland A’s ace Jarrod Parker found he had ligament damage in his elbow during spring training, prompting his second Tommy John surgery since 2009. Andrews handled the operation in late March, and Parker will miss the entire 2014 season. 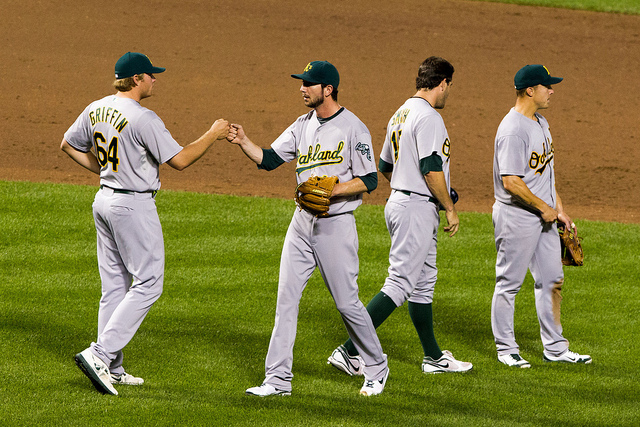 Instant impact: The A’s lose Parker’s 200 innings and double-digit wins for the whole year. In his stead, journeyman reliever Jesse Chavez will fill a spot in the rotation. So far, Chavez has pitched 13 innings to a 1.38 ERA with 13 strikeouts. 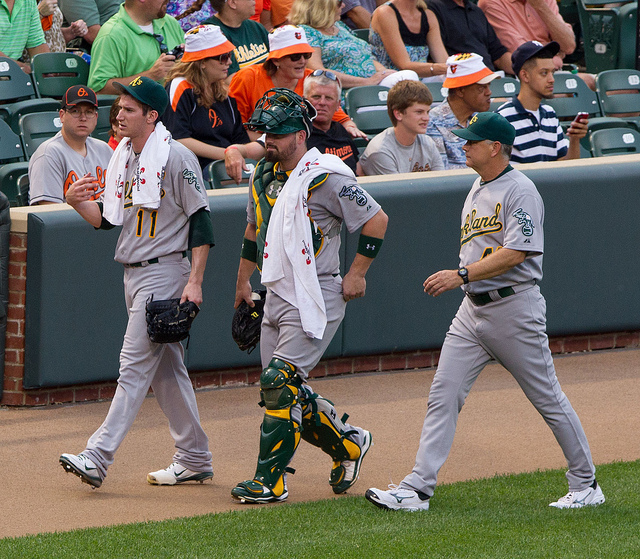 Scott Kazmir and the rest of the Oakland staff (also without A.J. Griffin) have been stellar thus far in the season. Projection: It’s tough to imagine the A’s rotation staying so effective for long stretches of the season. They’ll need Griffin back to weather the inevitable slumps. The injury: Josh Hamilton was one of the MLB’s top early performers in the young season before landing on the DL with a torn ligament in his left thumb, which occurred during a head-first slide on April 8. Hamilton will have surgery and be out until the end of May, at least. Instant impact: For a star player who needed a bounce-back year as much as anyone, Hamilton’s injury is tough to bear because of his hot start. Mike Trout, David Freese, and Albert Pujols will have to pick up the slack following the loss of Hamilton’s reinvigorated bat. Projection: The Angels have a stacked lineup that should cover the loss. However, if Hamilton can’t find his groove after returning from surgery, it will be a galling miss of an opportunity. Pressure will begin mounting if he starts another slump. 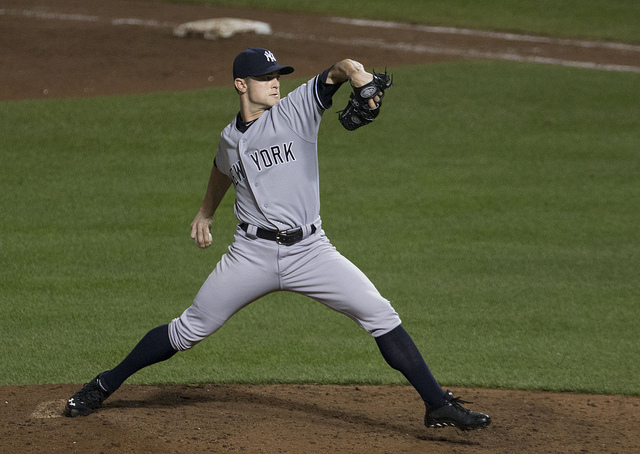 The injury: Yankees closer David Robertson suffered a Grade-1 groin strain during a high-wire save in Toronto on April 6. 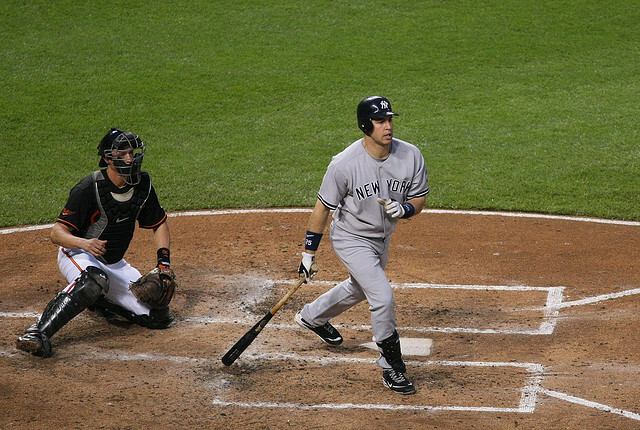 Manager Joe Girardi revealed the injury the next day when speaking to the press. Robertson went on the 15-day DL and hopes to return in mid to late April. Upcoming tests will reveal if he’s ready. Instant impact: In the first game following the Robertson injury, Girardi called on Shawn Kelley in the ninth inning with a two-run lead against the Orioles, which Kelley converted into a save without allowing a baserunner. Two games later, Kelley entered in a 3-3 game and served up two runs. He was saddled with the loss. On April 10, the Yankees had converted starter David Phelps to back up a Michael Pineda outing against the Red Sox. Phelps provided 2.1 innings of scoreless relief for the save. Projection: The post-Mariano Rivera era in New York still has many variables. Without Robertson, it’s a complete crap shoot. The injury: Cincinnati Reds closer Aroldis Chapman bore the brunt of a line drive to the head during a spring training game. Chapman was rushed to the hospital, where emergency surgery was performed to install a metal plate in his head for the fracture above his left eye. “The Cuban Missile” posted a photo of his head covered in staples following the surgery on Instagram. As scary as it was, Chapman hopes to return at the end of May. He was reportedly throwing again as of April 10. 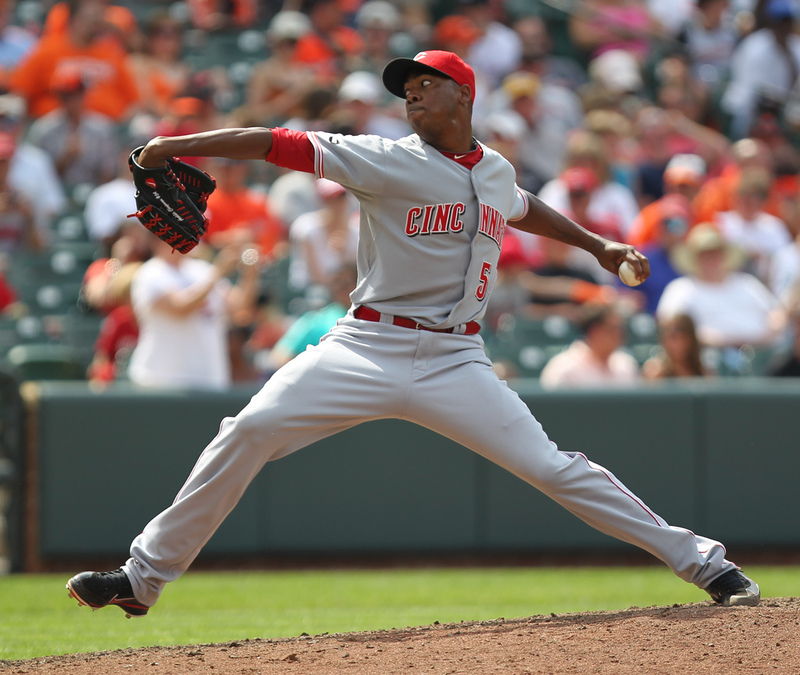 Instant impact: Cincinnati is without a reliable closer with Chapman on the shelf. Replacement J.J. Hoover served up a walk-off grand slam to Ike Davis in a crushing defeat at Citi Field on April 5. The bullpen has blown two of three save opportunities so far. Projection: Manager Bryan Price was lucky to have former closer Jonathan Broxton activated from the DL on April 8. He should provide stability at the end of games, though the setup corps remains in tatters. The injury: Moore looked terrible throwing a pitch during his April 7 start against Kansas City. After an MRI did not yield definitive results, he visited the very busy Andrews, who discovered a tear in Moore’s UCL. The two options are long-term rehab of the tear or Tommy John surgery. 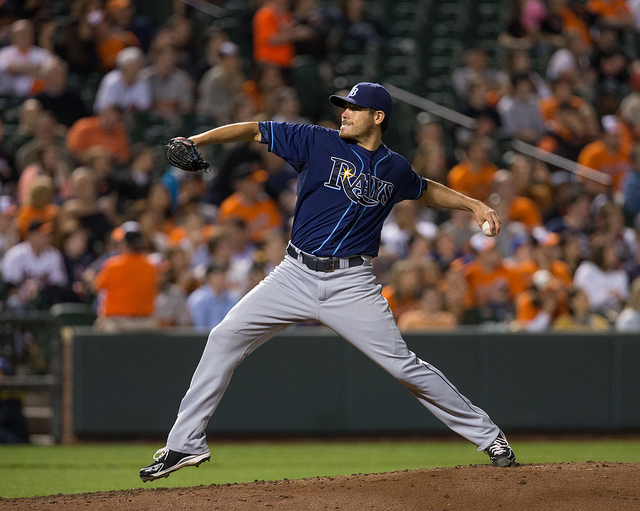 Instant impact: The Rays are losing a dominant lefty for a long stretch of the season, possibly all of 2014. With Jeremy Hellickson out, Tampa Bay is down two front-line starters. Even a team of the Rays’ depth cannot weather such a storm. They’ll scramble to find replacements. Projection: Like Oakland, Tampa seems to plug in young, effective starting pitchers at will. It’s a major blow to their championship hopes in 2014, but they’ll still have David Price, Chris Archer, Alex Cobb, and Hellickson by mid-season. That group could win a championship. Moore’s ability to neutralize big lefty bats in the AL East will be sorely missed. The injury: Parnell, the Mets’ closer, was clearly not right in an opening week game against Washington. Doctors diagnosed him with MCL damage and performed successful Tommy John surgery on Parnell on April 8. He will miss all of 2014. 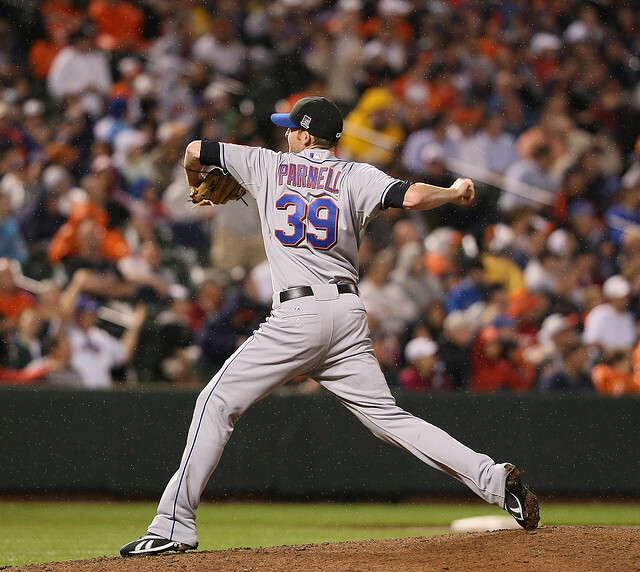 Instant Impact: In 2013, Parnell was bright spot in the Mets bullpen, with a 2.16 ERA and 22 saves in 49 appearances. He’s been replaced by Jose Valverde, the former Tigers closer who melted down in 2013 before Detroit released him. Valverde appears rejuvenated in early 2014 action, with 7 strikeouts and 2 saves over 5.1 innings of work. He has yet to allow a run. Projection: Valverde’s turnaround is nice, but it’s unlikely to last. The Mets may have to get creative. The injury: Teixeira suffered a Grade 1 hamstring strain when he lunged toward first base after fielding a grounder against Baltimore on April 7. He went on the 15-day DL and is expected to return in the third week of April. Instant Impact: Teixeira missed nearly all of 2013 due to a wrist injury. The Yankees let Robinson Cano go in expectation of Tex returning to the lineup and producing from both sides of the plate. Kelly Johnson is replacing him at first base, while Jacoby Ellsbury has moved into the three-spot in the batting order. Collectively, the Yankees are slumping and could use the added pop. Projection: In this series of setbacks for Teixeira, the Yankees are feeling the sting of the first baseman’s contract. He needed to return to big-league form without the hamstring injury. This issue will make the journey tougher.